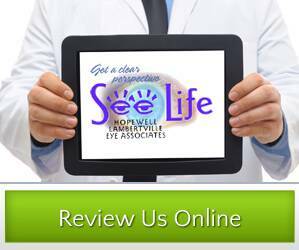 What is a comprehensive eye health examination? 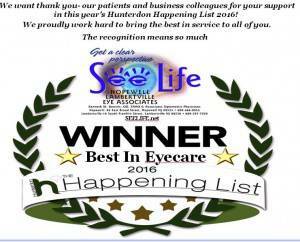 A comprehensive eye exam is a full health evalaution, not only for eyeglasses or contact lenses, but most importantly an assessment of the health of the eye, and how the eyes relate to your systemic health. 1) Refractive Status of the eyes (eyeglasss power determination): myopia (nearsightedness), hyperopia (farsightedness), astigmatism or presbyopia (older eyes). 5) Assesment of ocualr health relations for potential systemic disorders such as diabetes, high blood pressure, thyroid and neurological disorders, autoimmune disorders such as Lyme and Rheumatological concerns. All of these and other disorders and diseases can have direct affect on the eyes. Contact lens fitting and evaluations are considered as a separate exam and not part of the comprehensive exam. 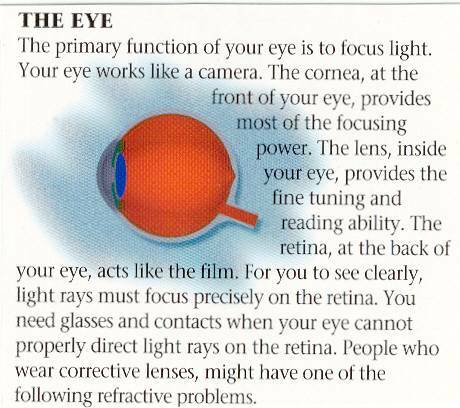 Contact lenses require specialized measurements and fitting to assure the best fit and optimization of the lens to the physiology of the eye. 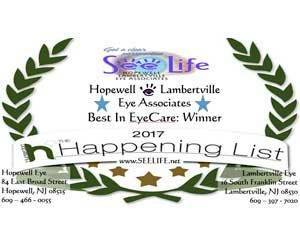 We're conveniently located in Hopewell and Lambertville, NJ to serve you.